Published weekly, the tidbits comprise of concise snippets of information a Frum person should know about. 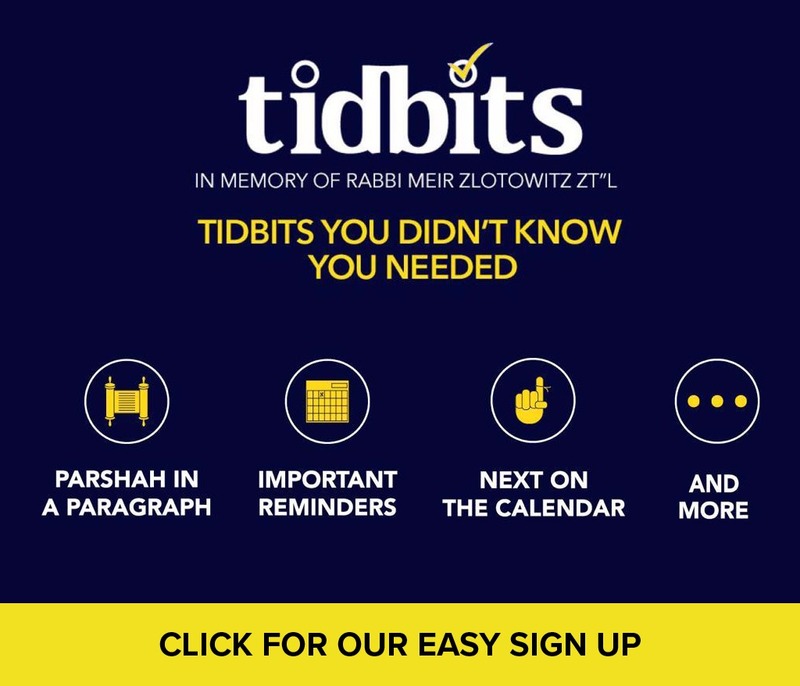 From Parsha in a Paragraph, to Rosh Chodesh reminders, to Next on the Calendar, the tidbits has you covered. We have been getting wonderful feedback of people who rely on this “dose” of information before Shabbos. Join those in the know!